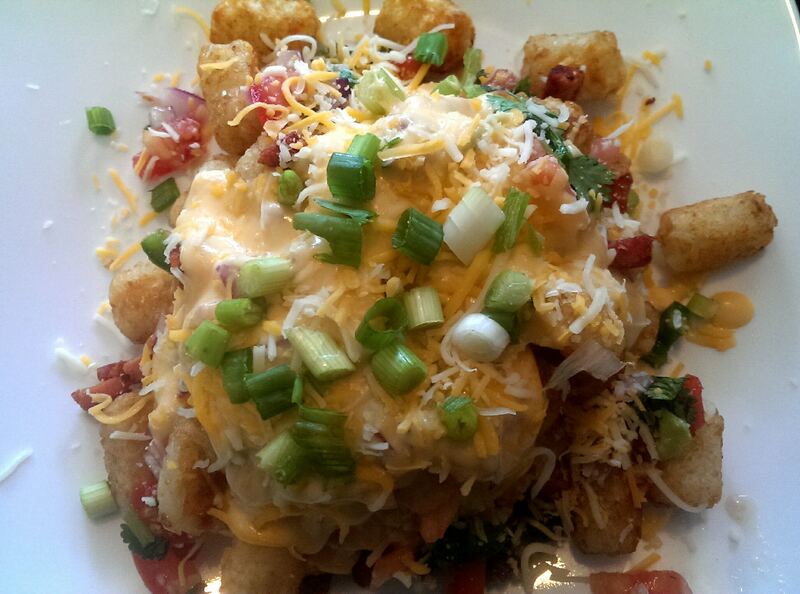 Who ever came up with the idea to cover Tater Tots in nacho toppings deserves a medal…an award of some sort. Or just someone to bake them a plate of cookies and say “congratulations, you’re a genius”. I found this ‘dream turned into reality’ recipe on someones Facebook wall and couldn’t wait to make it in my kitchen. I don’t remember who posted it so I can’t even give credit where its due. But thank you, whoever you are. The recipe called for a charred tomato salsa, of which I opted out of. When it came down to it, I just didn’t want to be bothered putting in the time when I could make a perfectly delicious salsa from the ingredients I had – it still turned out amazing. 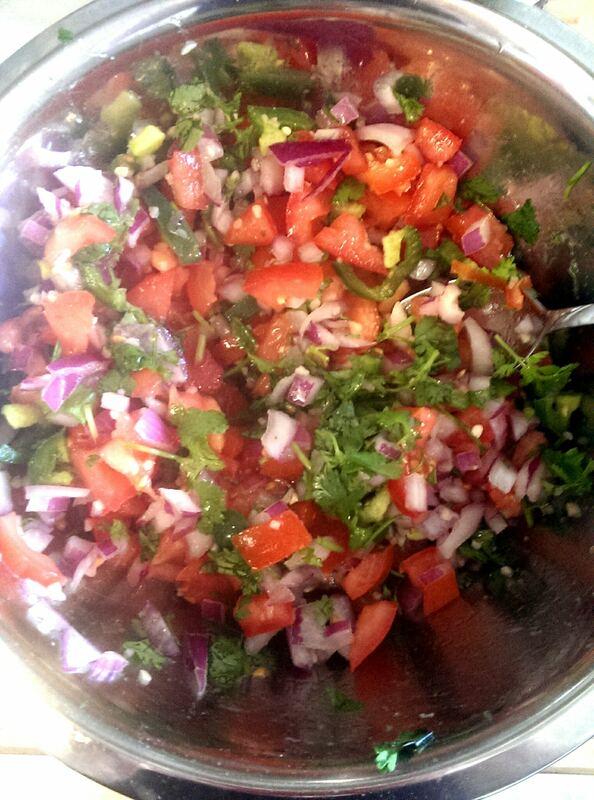 I combined the onion, garlic, diced tomato, cilantro, jalapenos, lime juice and salt and pepper to create a seriously flavourful salsa. ( I have a lot of left overs which is awesome, so I plan to eat this with some nacho chips over the course of the next week!) If you are short for time, this substitute will do just fine. 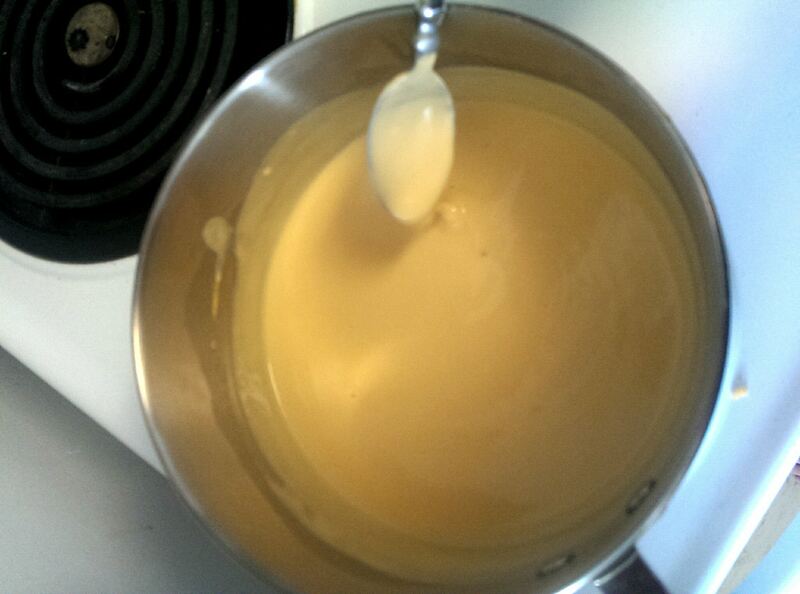 After I prepped the salsa I moved onto the cheese sauce that the recipe calls for. This was so simple to make, and tasted great. All you need is a can of evaporated milk, tablespoon of corn starch, hot sauce to taste and shredded cheddar and/or pepper jack cheese. Mix in the corn starch and cheese, add the evaporated milk and hot sauce, and cook over low heat – constantly stirring for approximately 15 minutes until thickened. 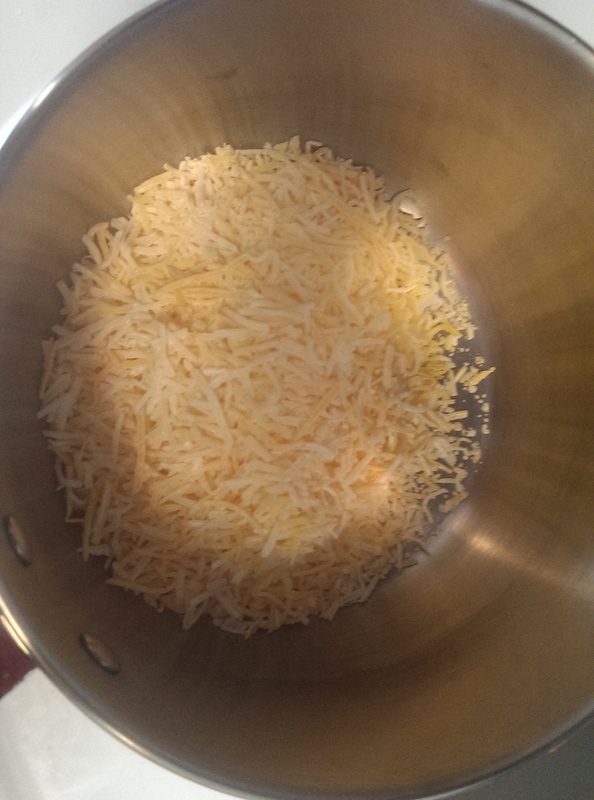 The recipe calls for 8 ounces (1 cup) of cheese but it definitely needed more in the end so I would recommend 2 cups. I mean, you’re obviously not counting calories with this one, so just put in 2 cups of cheese and call it a day. I used a whole bag of tater tots for this recipe as I was feeding two people (one of which could eat for two with no hesitation) and we had left overs. The only critique I got was that the tots needed to be cooked longer so they were crispier and could hold the toppings better. So give ’em a bit more cooking time in the oven, maybe 5-10 minutes more than the bag recommends (if you’re using the whole bag) to brown them well. This will make them nice and strong to support all those delicious nacho toppings! 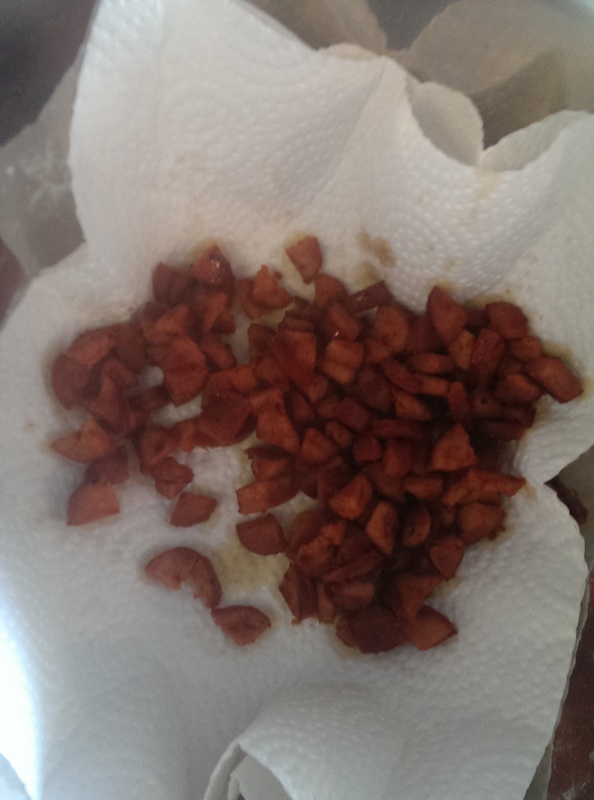 While the cheese sauce and tots were cooking I chopped up the chorizo and gave it a quick fry in the pan (about 10 minutes) until they darkened in colour and became crispy along the edges. 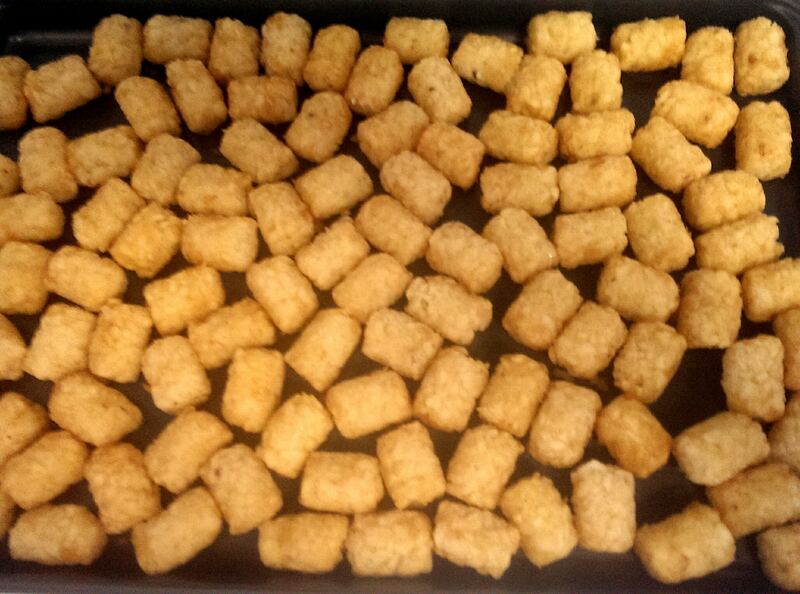 Place them onto paper towel to dry as you get ready to assemble your Totchos! After the tots were ready to go I put one layer on the plate, added the chorizo, salsa, and cheese sauce. After adding a second layer of tots I scooped on some more chorizo, salsa and cheese sauce, finishing it off with some chopped green onion. This is a serious dinner. It means business. We had to lay down for a nap after this one to recuperate and digest, no joke – my critic is still asleep on the couch. Mission successful? Yeah. You can get the full list of ingredients and recipe here. 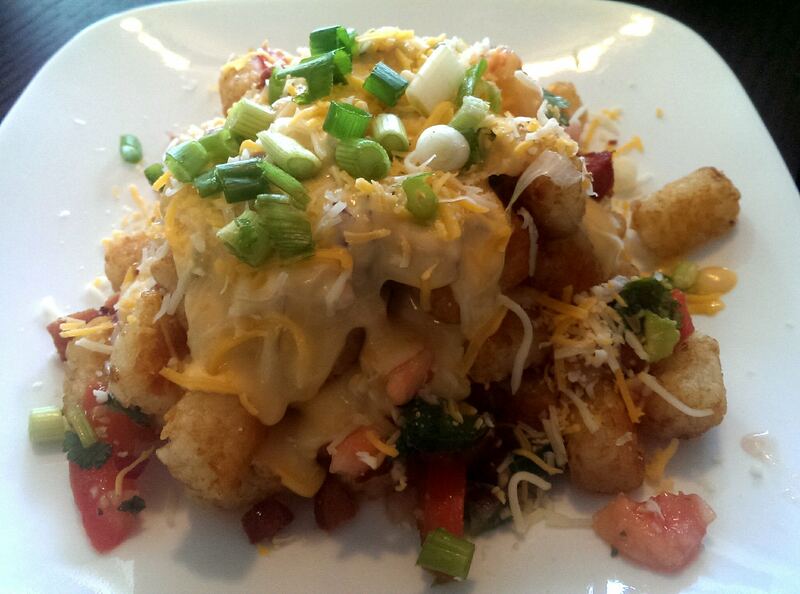 Here is the link to the cheese sauce recipe which is also included on the Totchos recipe page. Anyway, if you decide to make this at home, its an easy, simple meal to throw together – and is so much fun to eat!